Initially Louie delivered milk locally, until creameries developed and changed his strategy. Creameries provided a place where dairymen could take their milk to sell it wholesale. In our mind, this was the beginning of a slippery slope for American agriculture. Since that time, farmers would begin to become further and further removed from their consumers. 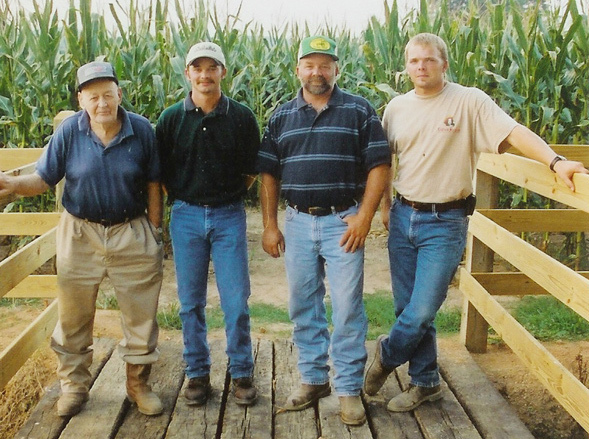 Read more..
Carlton Farms almost came to an end. "Have ya'll ever thought about selling raw milk?" To which Chad's response was, "Ma'am, to my knowledge that's illegal." The nice lady nodded her head, realizing Chad's ignorance on the subject of raw milk. She pulled a small piece of paper from her purse and wrote down: Weston A. Price, Pet Milk, and Cow Shares. Handing the paper to Chad, she encouraged him to do some research on what she had written down. Little did she know, she changed the direction of Carlton Farms forever. The research was done, and the Carlton's decided to jump into the "raw milk for pets" market. The first gallon of Carlton Farms raw milk for pets was sold on March 3rd, 2006, to none other than the lady who started that conversation in September. 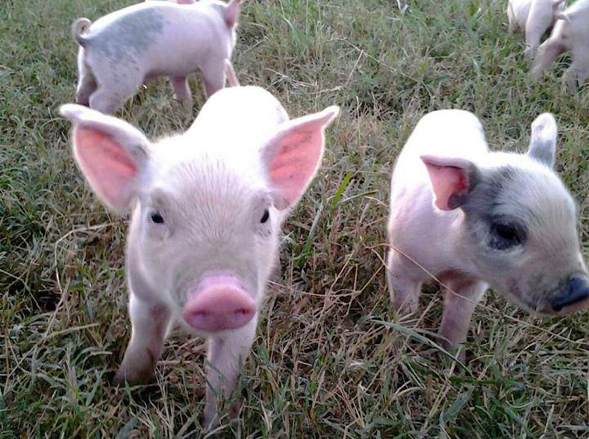 Since that time, the farm has welcomed the addition of several milking cows, 4000 laying hens for egg production, numerous beef cows, pigs, and turkeys. 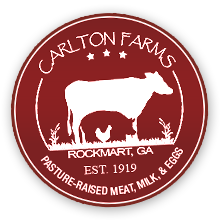 Carlton Farms is now recognized as one of the premier places to patronize if you're looking for clean, wholesome food directly from the farmer. Products are delivered at various locations around Atlanta, or can be purchased directly from the farm store.